Start with the band at the middle level facing forward and holding equal lengths of the band. 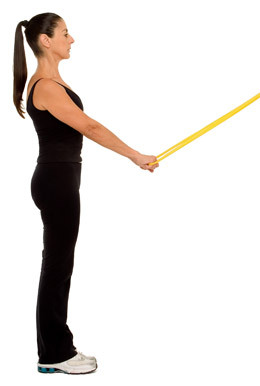 Pull them down in front of you with arms straight until you feel some resistance. 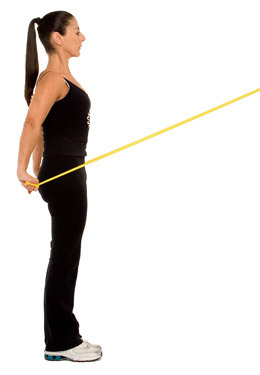 Proceed to pull the bands down and to your side, 45 degrees from the body. Resume the starting position. Repeat 10-20 times.